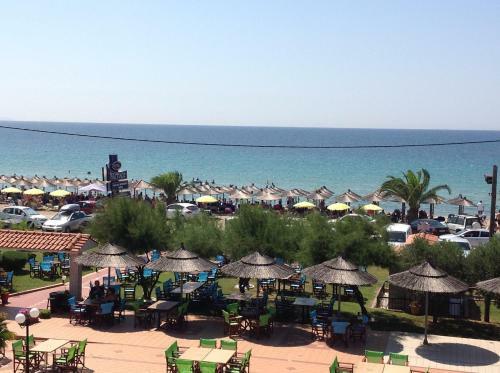 The 1-star Hotel Nautilos is located at the beach in Sozopoli, Central Halkidiki. The hotel offers to its guests a la carte restaurant, bar, garden, pool bar, restaurant	and outdoor swimming pool. The young guests of the hotel will benefit from the games room. The property offers studio, family room, 1 bedroom apartment, 2 bedroom apartment and other might be available upon request. The rooms offer sea view. Room amenities include air-conditioning, heating, tv, fridge, etc. Each unit has own bathroom with hairdryer and free toiletries. In the kitchen there are fridge, kitchen utensils and hot plates.